The 2019 Play! Pokémon Season started officialy at the Valencia Special Event held on July 2018 in Valencia, Spain, and will come to an end at the 2019 World Championships in Washington, D.C on August 16-18, 2019. All events taking place in the 2019 Season after September 4, 2018 will be played under the VGC 2019 rulesets, revealed during the 2018 World Championships Top Cut both live and on stream. Of course, the aforementioned Valencia Special Championships and the Melbourne Open taking place on September 1-2 will still be played under the VGC18 format. The VGC 2019 format is a throwback to the 2016 and 2010 rulesets, all of them known as GS Cup, formats where Legendary Pokémon such as Groudon, Xerneas or Lunala are allowed. 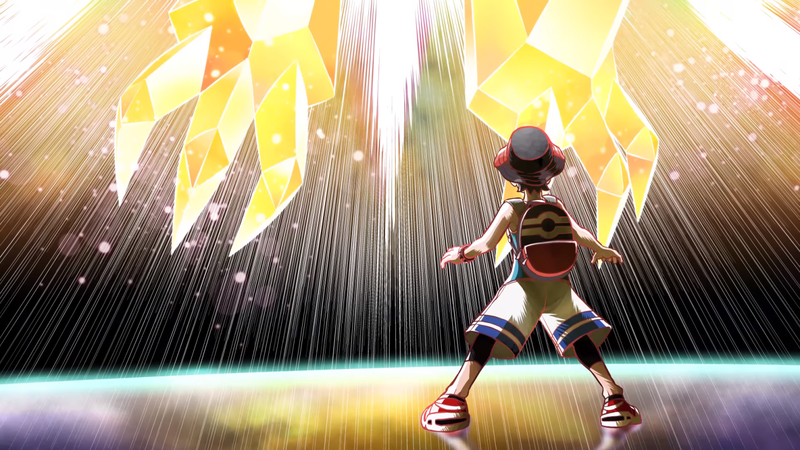 Double Battles played on Pokémon Ultra Sun and Pokémon Ultra Moon. All Pokémon must be caught, hatched or obtained during the regular playthrough of any of the 7th Generation games (Pokémon Sun, Moon, Ultra Sun or Ultra Moon), thus having the black clover icon on their summary. All teams may include up to 2 Pokémon from the following: Mewtwo, Lugia, Ho-Oh, Kyogre, Groudon, Rayquaza, Dialga, Palkia, Giratina, Reshiram, Zekrom, Kyurem, Xerneas, Yveltal, Zygarde, Cosmog, Cosmoem, Solgaleo, Lunala and Necrozma. Mythical Pokémon (for example, those obtained during special distributions such as Volcanion) are banned. All Pokémon will be automatically on Level 50 regardless of their actual in-game level. Players will have up to 7 minutes of “Your Time” throughout the course of a match to select their moves. Each turn, 45 seconds will be given to select a move. Animations and connection time do not add up. Additionally, one of the new 2019 Season regulations are Format rotations, similar to those taking place in the Pokémon TCG competitive scene. During this season, 3 Series of rotations will take place, all of them with their own regulations. Please notice that general GS Cup guidelines (those stated right above) will apply in all of them. Z Crystals are not allowed. Mega Evolutions are not allowed. Red Orb and Blue Orb can not be held by a Pokémon. Rayquaza may not learn Dragon Ascent. All Z Crystals are allowed. However, Players may not use the Ultranecronium Z. Players now can use the Ultraneconium Z. Red Orb and Blue Orb can be held by a Pokémon. Rayquaza can learn Dragon Ascent. Similarly to the 2018 Season, local events played in the 2019 Season will be divided between Premier Challenge and Midseason Showdown, whereas major events will split between Regional Championships & Special Events and International Championships. Select Online Competitions such as International Challenge held on the Pokémon Global Link may occur as well. For more information on the 2019 Season Major Events check out our calendar here. Check out the Special Events & Regional Championships schedule for the 2019 Season here. *TCG Booster Packs are given regardless of attendance. Check out the International Championships schedule for the 2019 Season here. Check out information for the Travel Awards down below. North American Internationals: players with the most CP obtained from the next day after the Oceania Internationals through the final day of the European Internationals will obtain a Travel Award to Australia. It is yet unknown how many players will obtain an Award and its value. Please notice that Travel Awards periods for the International Championships differ from Series BFL in local events. This means, for example, that during Sun Series only the 2 best results at those local events will be taken into account for the 2019 World Championships CP count, but if that some of those CP are obtained during the Latin American Internationals Travel Award period and some during the Oceania one, points will be counted separately towards those awards. Whilst the amount of CP needed in order to obtain an invite to the 2019 World Championships is yet to be revealed, those amassing the highest CP amounts of their rating zones will obtain a Day 2 Invite to the event, thus skipping Day 1 Swiss Rounds played on Friday, as well as a paid trip to the event. Premier Challenge now give out more CP than in the previous seasons. Special Events are now equal to Regionals when it comes to CP pay-outs, but prizes will vary in each event. Regionals now have a BFL of 8, as opposed to last season’s infinite BFL. Internationals keep their virtually infinite BFL (4 out of 4) but the Latin American event takes Europe’s place as the first one of the season. European Internationals move from London, United Kingdom to Germany. Travel Awards to the International Championships are now decided on the CP amounts obtained during a certain time period, instead of being picked from the global CP amount of the season at a certain date. Check out the official Play! Pokémon site for the official source.